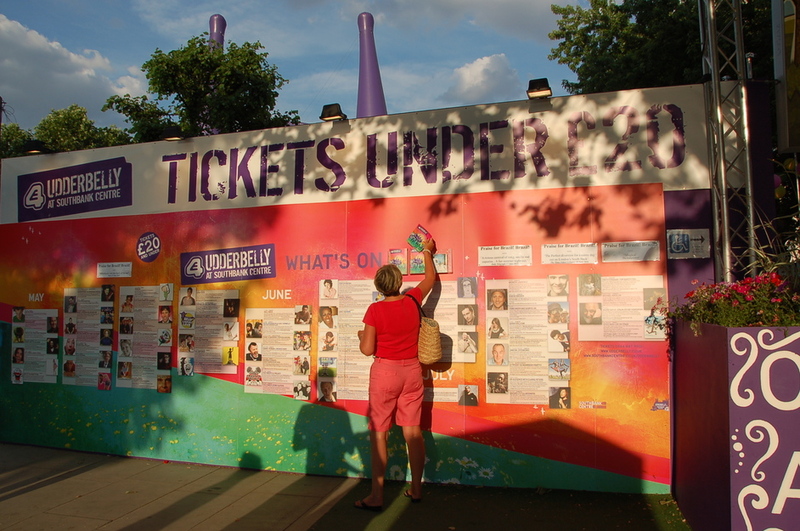 Look out for an upside-down purple cow as you're crossing over the Golden Jubilee footbridge to the Southbank Centre from mid-April - failing that, just listen out for the belly laughs - and you'll find your way to London's funniest summer event. The colourful, comic, curvaceous cow marks the spot of the Udderbelly - a two-month festival of comedy, cabaret and theatre from around the globe. This year you can see funny man David Morgan performing his show Blammo! And America's Got Talent winner Paul Zerdin with an evening of hilarious ventriloquism and hi-jinks. Further acts are yet to be announced but you can expect a packed programme of quality entertainment. What are the best dining options near Udderbelly Festival London? Udderbelly Festival gyms, sporting activities, health & beauty and fitness. The best pubs near London Udderbelly Festival. Udderbelly Festival clubs, bars, cabaret nights, casinos and interesting nightlife. Where to have your meeting, conference, exhibition, private dining or training course near Udderbelly Festival. From cheap budget accommodation to luxury 5 star hotels see our special offers for Southbank Centre hotels, including The Royal Horseguards - A Guoman Hotel from 81% off.